Multifamily or Apartment Sector: In 2019, we are seeing strong and healthy demand for apartment rentals. According to CBRE research most markets are absorbing new supply with relative ease. Due to a growing economy, demographic, economic and behavioral factors are translating into healthy apartment demand. Renting as a lifestyle choice among all age groups, especially among millennials, is growing. According to the most recent “Renter Profile Survey” from Freddie Mac, 63% of renters are satisfied with their rental experience, and the number of renters who have expressed no interest in owning a home has increased continuously during the past three years. We expect to see healthy demand for apartments and apartment building purchases throughout 2019. Retail Sector: In 2019, we are continuing to see negative trends in all areas of retail – large malls, smaller shopping centers and single store locations. We anticipate that this sector will obtain the most scrutiny in 2019. The major obstacle facing the retail sector continues to be the effect of E-commerce on traditional brick and mortar retail locations. As more and more retail sales occur over the internet, retail locations are seeing less and less foot traffic. Many once large retailers have been closing locations and downsizing their number of locations. Kmart and Toys R Us are two examples of giant retailers that have been hurt by E-commerce. We expect to see more of this trend in 2019. Office Sector: In 2019, we are seeing mixed results in this sector. Many smaller office buildings are showing weak demand as more and more employees work from home or telecommute. On the other hand, medical and healthcare space is showing strong demand in 2019 as our population ages and the growth rate of people aged 65 and over is growing faster than the population of people under age 64. Triple Net or NNN market: These properties are single tenant, net lease locations, such as big box drugstores, national restaurant chains, and dollar stores. We continue to see healthy demand for these properties in 2019 as investors seek secure investments. The properties in highest demand have the following features: credit-rated tenants, long-term leases, and locations in good urban and suburban markets. Current commercial mortgage rates are at historic lows. Our rates are extremely attractive, and we offer 24 hour approvals with NO COST and NO OBLIGATION. If you are looking to finance a commercial property, we can help. Click for a FREE QUOTE now! Commercial mortgage rates remain very low for many types of properties. Currently, the types of properties that lenders prefer are: multi-tenanted office, retail, industrial, and warehouse properties in good locations and in solid markets. 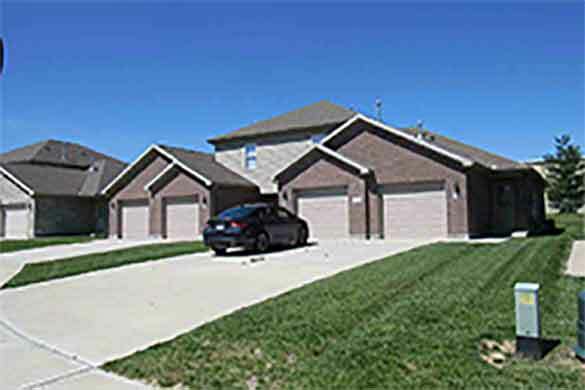 In addition, single tenant properties will be considered for credit tenants and owner occupants in good financial condition. See our article published in a major magazine on The fundamentals of securing the best rate on your commercial mortgage. Loan to value ratios up to 75%. Credit tenants such as Walgreen’s, CVS, AutoZone, Panera Bread, etc. Apartment building loan rates are among the best in the commercial mortgage industry. When lenders set the rates for these types of loans, they are encouraged by the short and long term prospects of the rental housing markets. Due to the lower risk of apartment buildings as an investment class, the rates are very low right now. Of course, the type of loan is only one factor when it comes to determining risk. The borrower’s credit worthiness, property location and property condition and many other factors are analyzed. For more information on what commercial mortgage lenders look for in determining the rate you receive, please see our blog article How to Qualify for the Best Commercial Mortgage Rate. Business mortgage rates for loans secured by a self-employed realestate owner’s remain low for many types of properties, including: hotels and motels, gas stations, convenience stores, laundromats, doctor's and dentist's offices, other professional offices, warehouses, industrial facilities, auto repair, retail stores, self-storage, day care, liquor stores, assisted living facilities, etc. Most of these property types will qualify for loans up to 90% LTV with very attractive business mortgage rates. Physicians, dentists, veterinarians, and other medical professionals may qualify for up to 100% financing for their medical practices, including working capital. Like other types of commercial mortgage loans, the borrower’s credit worthiness and property details will determine the rate and terms of the loan. The recent GOP sponsored tax plan continues to offer commercial real estate investors benefits over investors who invest in other asset classes. Congress has voted to maintain 1031 exchanges, the section of the tax code that allows investors to sell their property and avoid paying capital gains, so long as the investor reinvests the proceeds in another similar real estate investment. Investors in commercial real estate may continue to defer all capital gains by continuously selling and buying new, more valuable property. The new tax law has eliminated the same benefit for investors who invest in other investments such as, art, antique cars, etc. In addition, commercial real estate investors received an added bonus – the estate tax exemption for couples was just doubled to $22.4 million. In effect, these investors can keep trading up to more expensive properties, all the while avoiding capital gains taxes, and then continue to avoid taxes upon their deaths, so their heirs can inherit these properties tax free. Another huge benefit for commercial real estate investors is that the property real estate taxes paid during their years of ownership will still be deductible as a business expense – compare that to the $10,000 maximum deduction for homeowners! Homeowners are limited in the new tax law to a total of $10,000 for ALL state and local taxes, including real estate taxes. Commercial property owners can continue to deduct the full amount of their real estate taxes as a legitimate business expense. The new tax law is a boon for investors in commercial real estate. Select Commercial has excellent products and options available for owners and purchasers of commercial real estate. 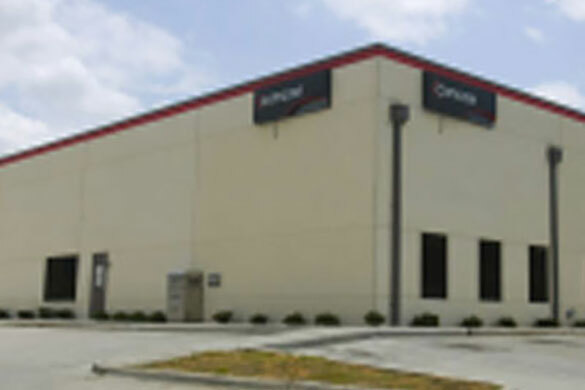 We arrange financing nationwide for single tenant and multi-tenant properties, including: office, retail, industrial, warehouse, self-storage, healthcare, hospitality, mixed use and specialty use. Our company has multiple capital sources for these loans, including: national banks, regional and local banks, insurance companies, Wall Street conduit lenders, credit unions and private lenders. Whether you are purchasing or refinancing, we have the right solutions available. We will entertain loan requests of all sizes, beginning at $1,000,000. We offer long term fixed rates at extremely competitive rates. Our underwriting is very flexible and we are able to approve commercial real estate loans that many other lenders are unable to approve. For example, we have specific programs for borrowers with less than perfect credit and those who might need a stated income loan. The bottom line is that we have a specific program for just about every situation. We’ve helped hundreds of customers with their loan requests. Our personal attention and extensive array of commercial mortgage programs are the hallmark of our success. We never charge an application fee and we offer written pre-approvals within 24 hours of receiving a completed application. If you have contacted other commercial mortgage lenders and been disappointed by their lack of personal service, you’ve come to right place. We believe in working on all of the details necessary to get your loan approved at the very best rates and terms available in the market. Our diverse menu of commercial real estate loan options allows us to finance all types of commercial and investment properties nationwide. We finance multi-tenant properties such as apartment buildings, retail shopping centers, office buildings and warehouse/industrial properties, as well as single tenant and special use properties such as credit lease properties, restaurants, gas stations and motels. We lend on investor properties (those rented to others), as well as owner-occupied or owner-user properties which are owned and used for the owner’s business. The loan-to-value ratio on a typical apartment building loan will be between 75% - 80% and we offer fixed rates for up to 30 years. The loan-to-value ratio on a typical commercial mortgage loan will be 70% - 75% with terms up to 25 years. On owner occupied properties we will often lend up to 90% and in some cases (medical offices, for example) we will lend up to 100% of the value of the property. There are many property types that are often hard to finance with your local bank. These include very specialized single use properties such as theaters, bowling alleys and skating rinks. We are actively and aggressively lending on these properties. We strongly support local businesses and are anxious to help you grow your business. For business owners, we will also consider working capital and accounts receivable financing. Again, we are committed to small business owners! Whether you are a large developer/property owner or an owner of just one property, we want to be your source for your commercial mortgage loan. Over the past 30 years we have helped hundreds and hundreds of people purchase and refinance their commercial properties. Some of our customers come back time and time again (and refer their friends) to take advantage of our superior service, great rates and knowledge of the market. Borrowing can be confusing – let us show you how we can help. If you are in need of commercial mortgage financing, we look forward to speaking with you to discuss your individual needs. With over 30 years of experience, and countless satisfied customers, you can rest assured that we will be able to satisfy your needs. To discuss your needs, please call us today, toll free at 1-877-548-9454 or complete a confidential free loan request form by clicking this link. 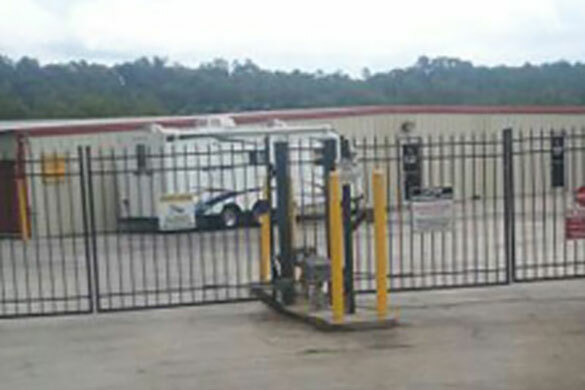 Self Storage Mortgage Loan Commercial mortgage refinance of three self storage facilities located in Georgia and North Carolina. Borrower refinanced for lower rate. 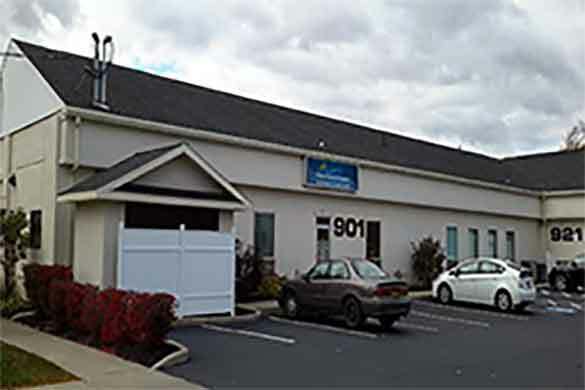 Ohio Commercial Real Estate Loan Commercial real estate refinance of 29 multi-family properties located in Troy OH. Loan was a blanket loan covering the entire portfolio. New York Commercial Real Estate Loan Commercial mortgage refinance of a medical campus in upstate NY. 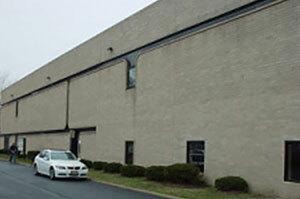 Property consisted of multiple medical buildings leased to a local hospital. 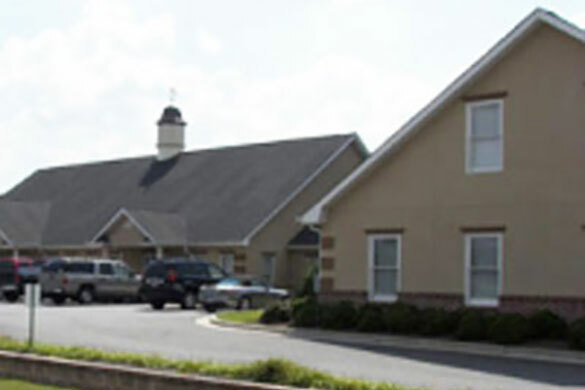 Alabama Office Building Loan Acquisition financing to assist a buyer with the purchase of single tenant office building in Alabama, leased to a telecommunications company. Georgia Medical Building Loan Commercial mortgage loan to refinance a medical office building located in Loganville Georgia. Borrower refinanced to obtain a lower rate. 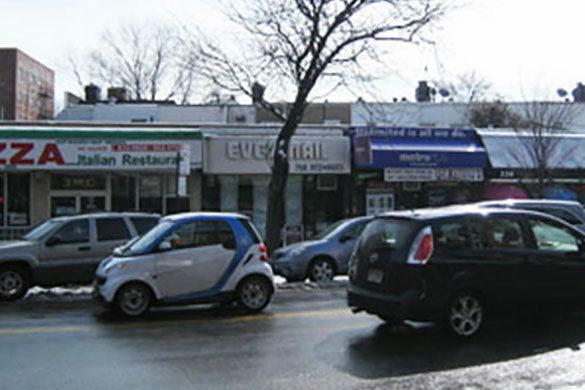 New York Shopping Center Loan Commercial mortgage loan to refinance a retail strip center located in Brooklyn New York. The loan was used to buyout one of the partners. 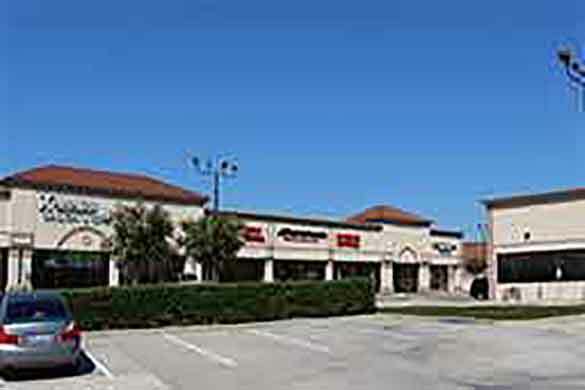 Texas Commercial Real Estate Loan Commercial refinance of a 27,125 square foot retail shopping center, containing 6 tenants, located in a suburb of Houston TX.